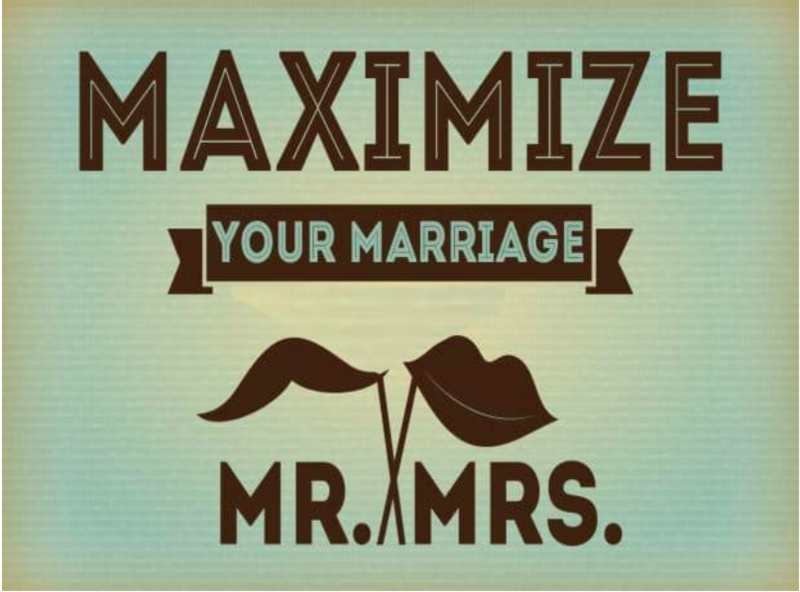 Registration for "Maximize Your Marriage" is now closed. The Marriage Institute is offering “Maximize Your Marriage”, a 6-week interactive course illustrating God’s intention for marriage to be one of the most satisfying relationships you will ever experience –adding a source of joy, peace, and love to your life. Each weekly session provides plenty of marriage resources and tools to help couples move in right direction. Hot topics include: mutual submission, expectations, and much more! Many couples miss God’s plan, but when you know God’s layout and design for your marriage…you can maximize your marriage.